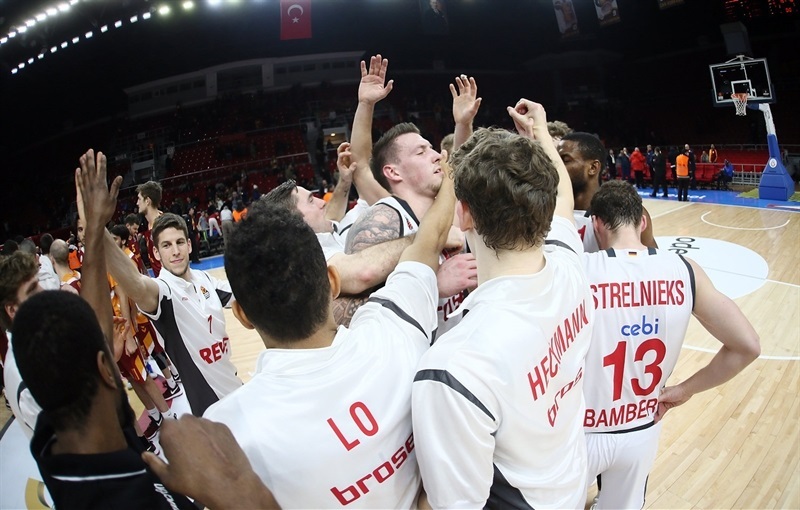 Brose Bamberg routed Galatasaray Odeabank Istanbul 75-90 at the Abdi Ipekci Arena to claim its fourth win in the last five games and advance to 6-9 at the midway point of the Turkish Airlines EuroLeague Regular Season. 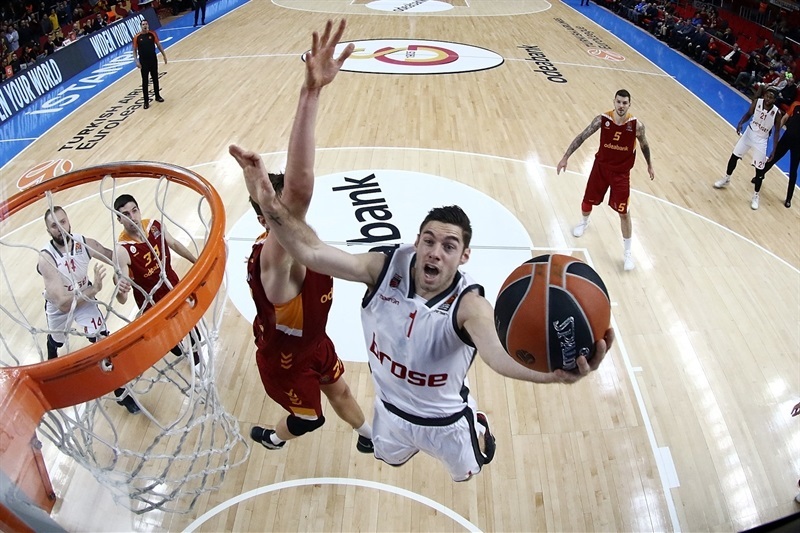 After a closely contested opening quarter, the German champs surged clear in the second and never looked back. 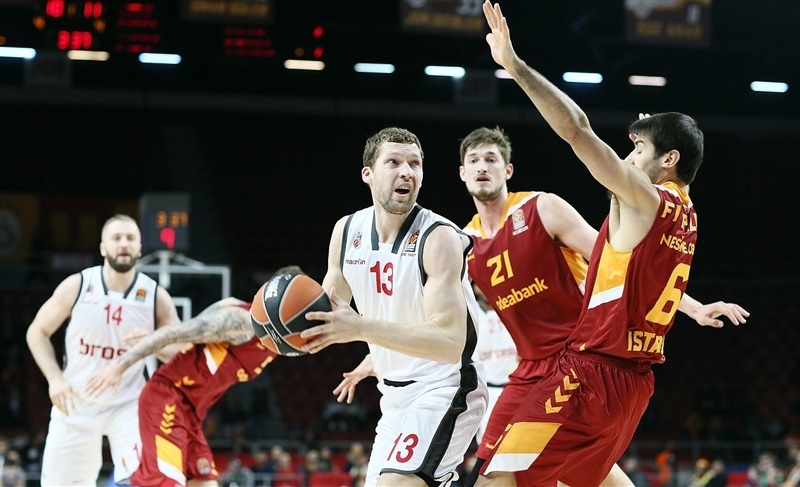 Galatasaray responded after the break, but another Bamberg spurt in the third quarter put the outcome beyond doubt as the visitors outrebounded the hosts 28-41 and converted 14 three-point shots. 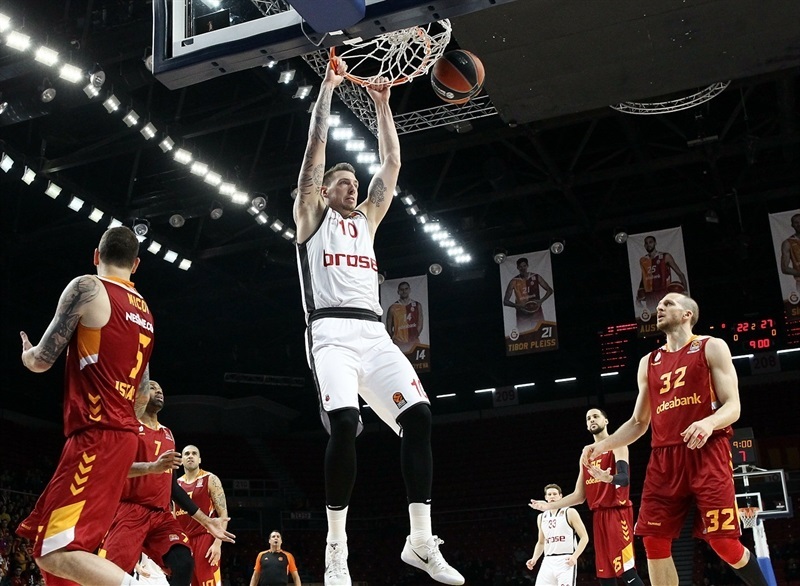 Daniel Theis was the star performer with a big double-double of 14 points and 14 rebounds, and top scorer Janis Strelnieks had five triples among his 18 points. 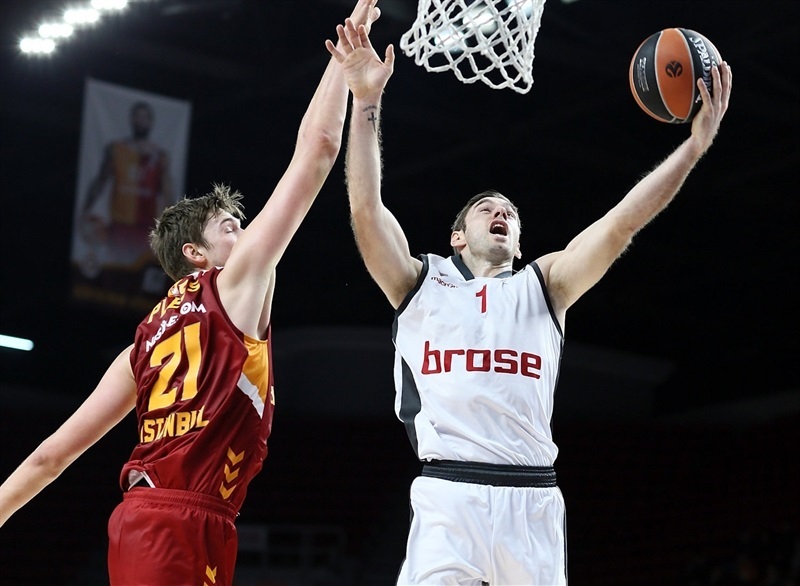 Fabien Causeur added 15 points and Nicolo Melli combined 10 points with 9 rebounds. 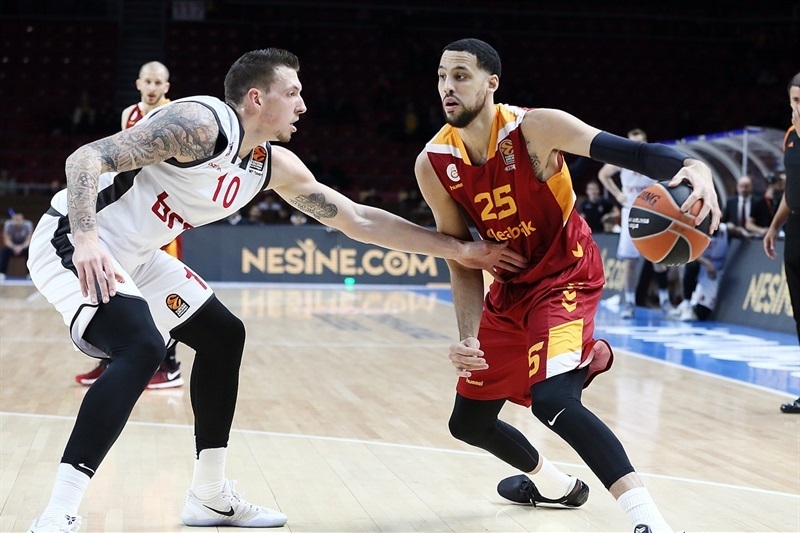 Galatasaray’s Austin Daye led all scorers with 20 points, and big men Alex Tyus and Tibor Pleiss added 15 apiece. The opening stages were close, with Pleiss and Causeur contributing heavily in the early going. 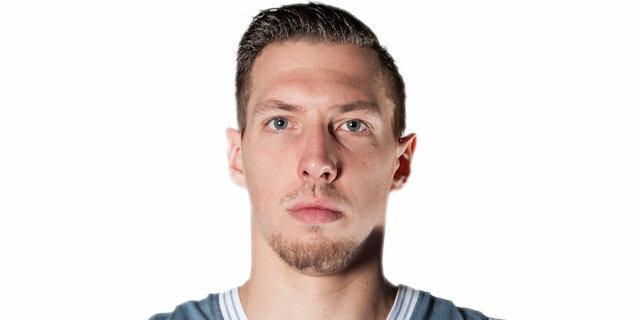 Neither team held a lead of more than 3 points until the very last play of the opening quarter, when Strelnieks beat the buzzer with a halfcourt triple to make it 19-24. 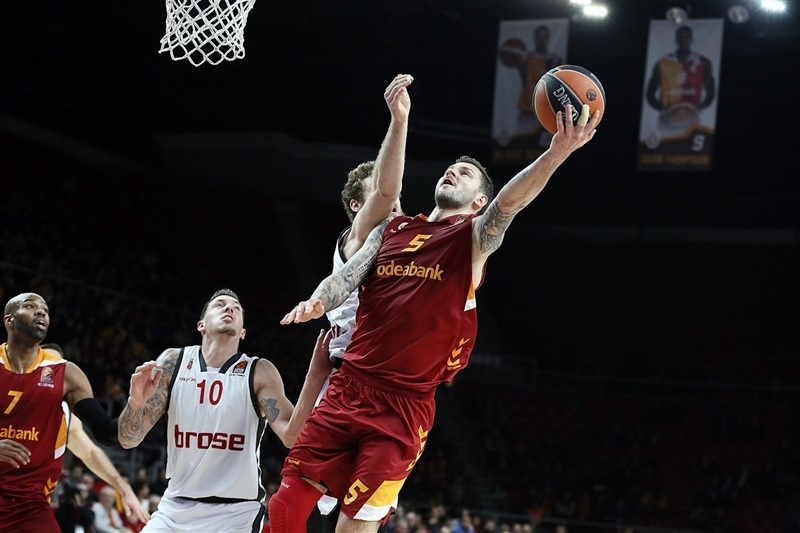 Strelnieks started the second half with another three, but Galatasaray came back as Daye fired in 10 points in less than four minutes. Bamberg’s offense continued to roll, though, and a 0-8 run helped make it 38-47 at halftime. 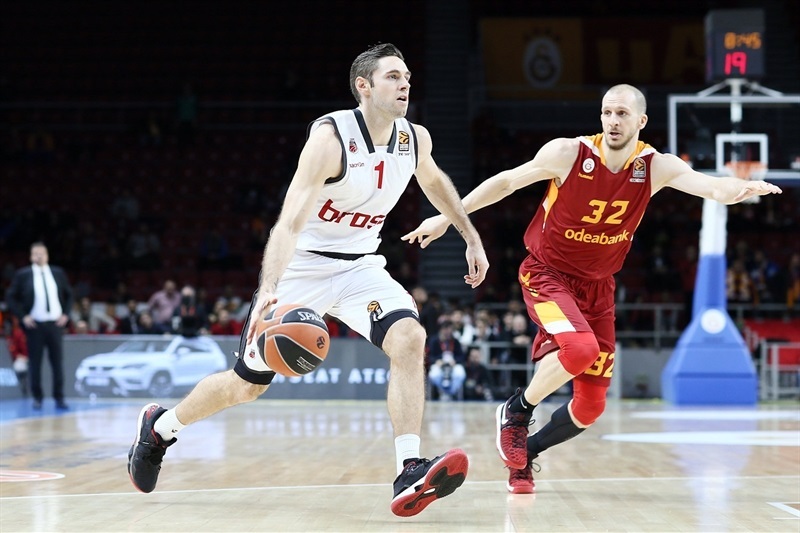 Pleiss scored 4 as Galatasaray started the second half with a 6-0 run, but Bamberg returned fire with back-to-back triples from Causeur and Darius Miller to restore its double-digit lead. 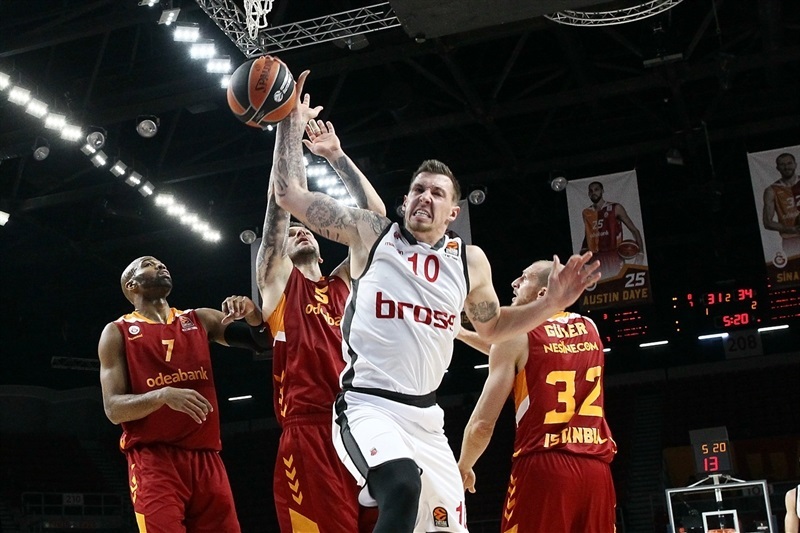 Melli then scored a quick 5 to make it 45-62 and the game was effectively over. 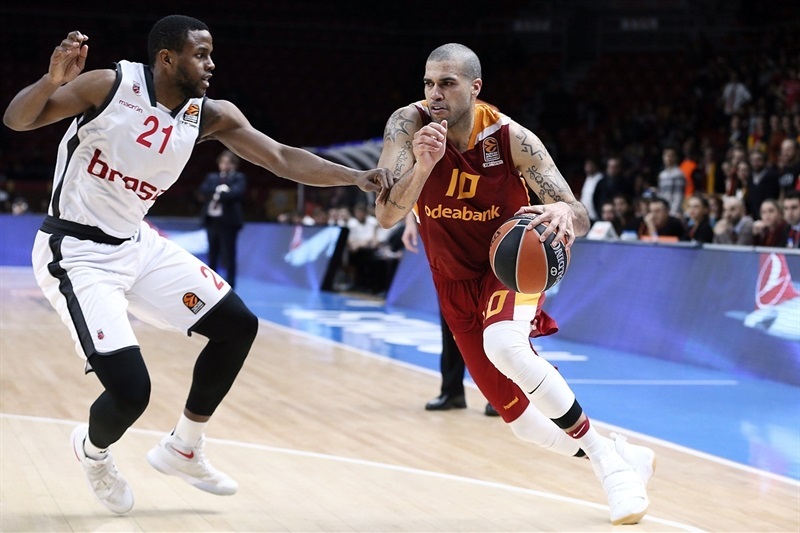 Nikos Zisis bridged the third and fourth quarters with baskets to stretch the lead to 25 points, and although Galatasaray was able to limit the damage in the closing stages, the outcome was never in doubt. 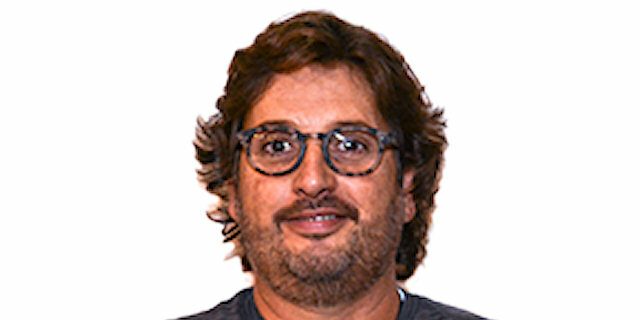 "We played smart and moved the ball well. To win on the road you need to make your three-point shots and we had a lot of open looks. We were stable, except we lost the last three minutes, but I cannot kill the guys for this! 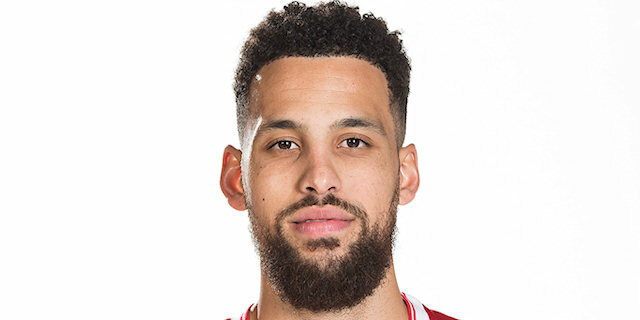 We deserved the win and I’m very happy. We didn’t lose any hope when we lost six games by 1 or 2 points, and I knew that I have good group of guys. We kept grinding and now things are changing a bit. I would like to play another game tomorrow! We are where we want to be." "This is one of our worst losses. We need to come together as a team and do all the little things that will help us win. From top to bottom, from the last player to the management, we’ve got to be better in everything. It’s hard to lose in front of all these fans who come and spend their hard-earned money." "We played a really good game for 40 minutes. 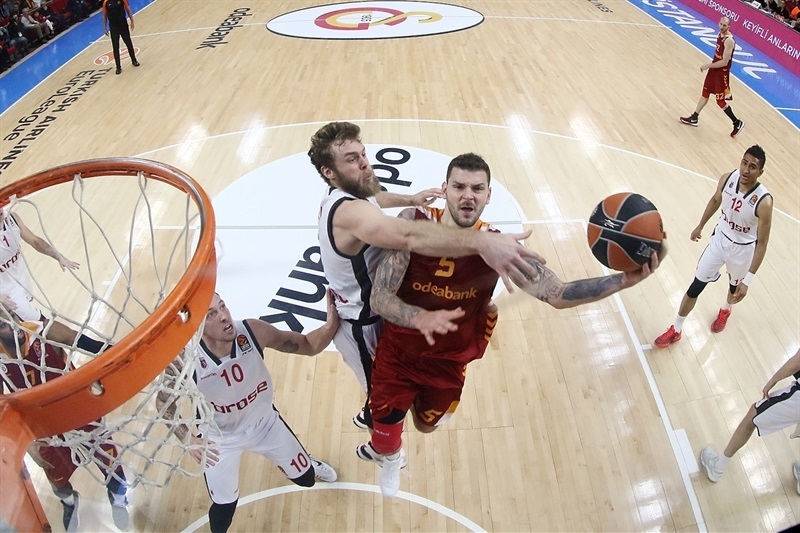 We played good defense and it’s tough to win in Istanbul so we’re happy for the win. We learned from the first few games when we lost by 1 or 2 points, we stayed together as a team and we’ve played really well, even on the road. Now we’re getting the wins."